Actor Shad Gregory Moss attends the 2015 American Music Awards at Microsoft Theater on November 22, 2015 in Los Angeles, California. Lil Bow Wow appeared to go a little nuclear on Monday. 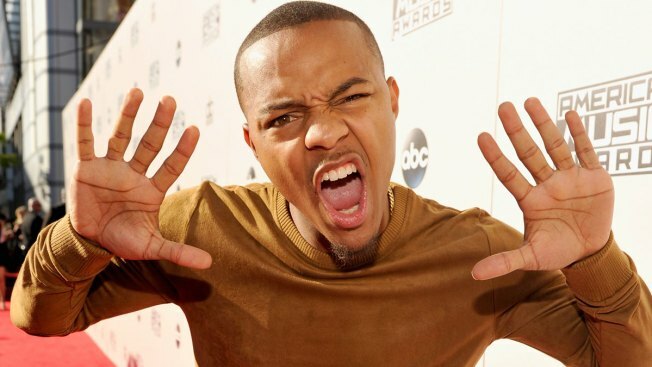 Bow Wow, the 31-year-old rapper and sometimes actor whose real name is Shad Gregory Moss went on a vulgar Twitter tirade Monday where he lashed out at bloggers and various entertainment sites commenting on his personal relationships. He then threatened to quit entertainment to work at a GameStop and then said he would be giving all his money away to random strangers through a cash app. Not surprisingly, after Moss wrote he would send money to strangers he was hit with a number of requests. It's not clear if he followed through on any of the requests for cash. It also wasn't clear if the rapper's Twitter had been hacked or if was sending the tweets himself.